We’ve spent years wondering when the new Toyota Supra will finally come out. YEARS! At this point, the idea of a new Supra is older than the junior high kids who need to stay off my lawn. Now a spokesperson for Toyota’s British arm says we’ll have to wait another year to see the production version. Ugh. 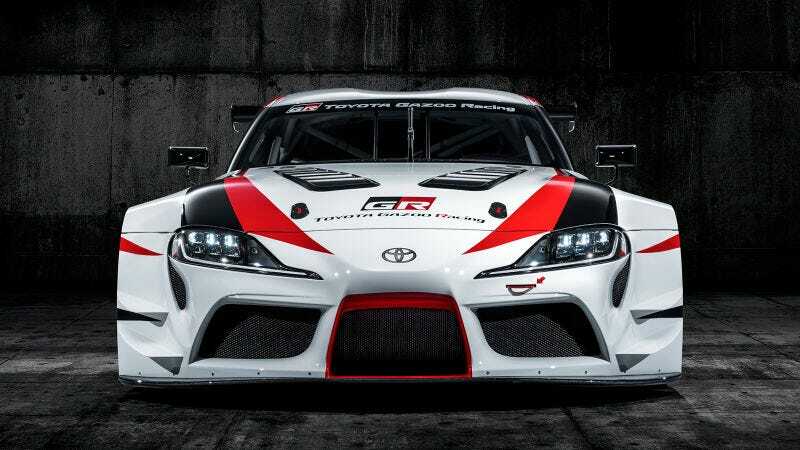 The official Twitter account for Toyota in the United Kingdom came in with yet another letdown about the new Supra in response to a fan: The road-going one won’t even be revealed until next year. And that’s just the reveal, which comes before the car ever goes on sale. Look, we’ve already been let down by the Supra’s chief engineer saying there would be no manual transmission—a statement which Toyota’s U.K. Twitter would not confirm at this time when tweeting to the same fan. Now we’ve got to wait even longer? Jalopnik has reached out to Toyota’s U.S. spokespeople to ask when exactly we might expect a road car to go on sale and will update this post if we hear back. Why Do You Keep Disappointing Us, Pretty Car? Why? !